Are you a database administrator for SAP BW systems running on IBM Db2? 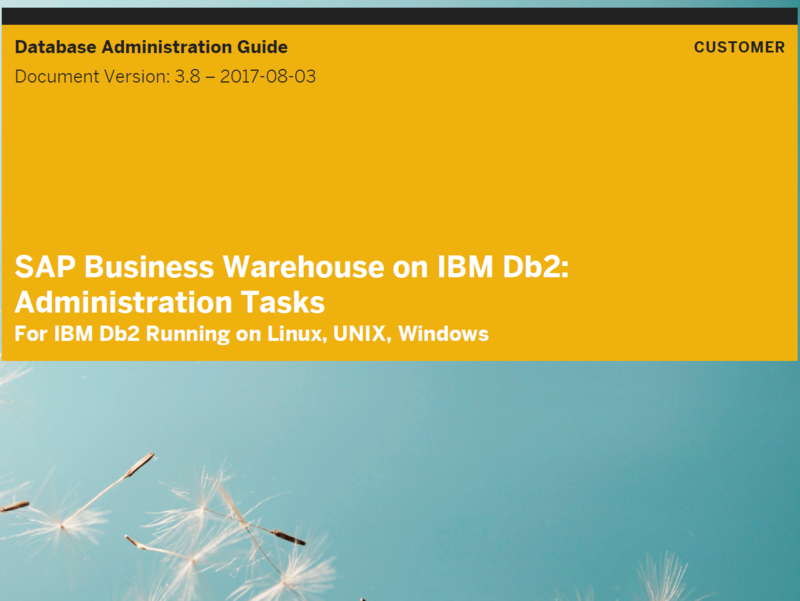 Then this is for you: An updated version of our SAP BW administration guide for systems running on IBM Db2 on Linux, UNIX, and Windows is available. A new program RSDU_IC_STARFLAT_MASSCONV for mass conversion of standard InfoCubes to flat InfoCubes is available. A new RSADMIN parameter DB6_ALLOW_CDE for disabling BLU Acceleration in the entire SAP BW system is available. Compression performance of column-organized InfoCubes can be influenced using a new RSADMIN parameter. FEMS query processing at database level is now also supported for DataStore objects.